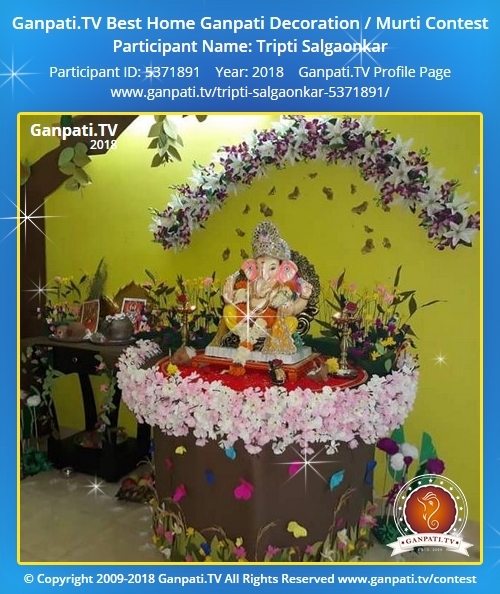 Tripti Salgaonkar's Home Ganpati Pictures & Videos of every year. Also includes decoration ideas or details which they have shared. It would be helpful to others for following year. 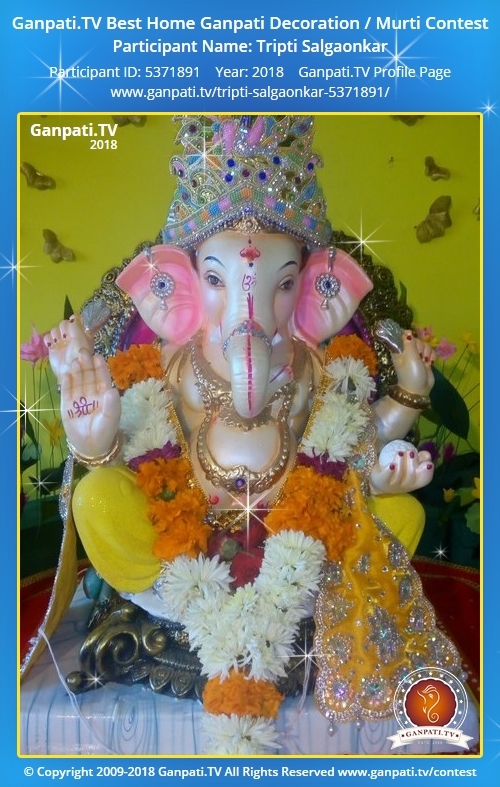 Decoration Description: I made Hathi Ambari for Lord Ganesh of white elephant. 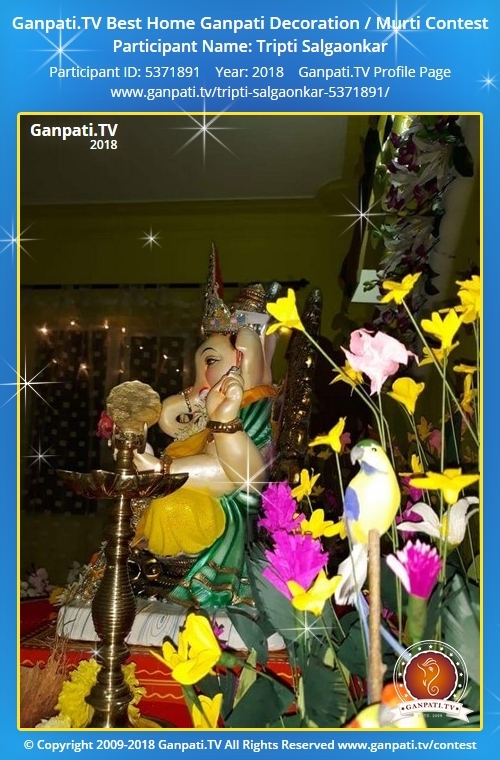 White elephant symbolises wealth, prosperity and good health.This decoration shows arrival of Lord Ganesh in my house with wealth, prosperity and good health.The Hathi Ambari is further decorated with beautiful makar. Makar is painted in acrylic fabric paints and decorated with golden threads, sea shells, stone cut sequences and beautiful painted peacocks. 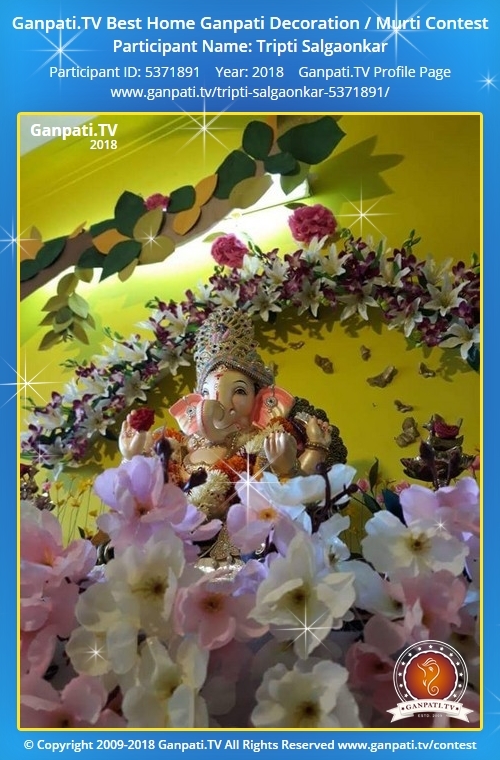 Lord Ganesh murthi is eco friendly made of mud. 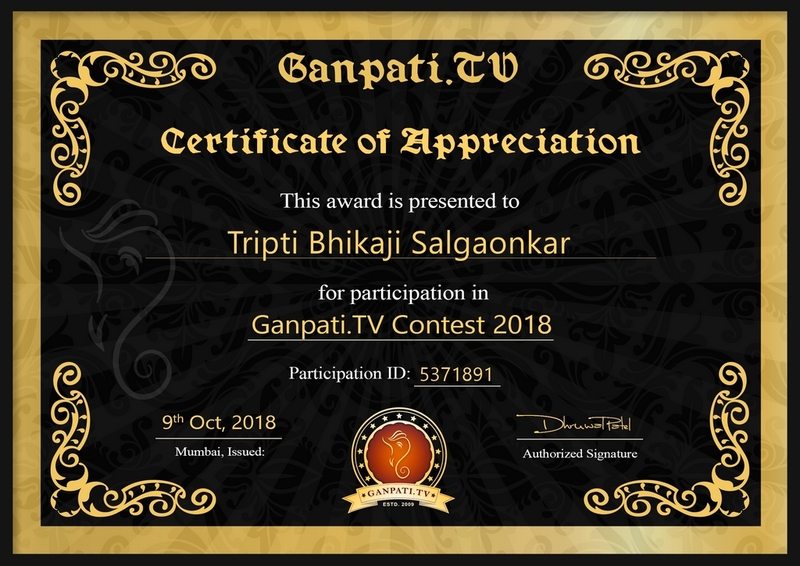 It is of approximately 45cms in height. Decoration Description: Where white peacock welcomes lord Ganesha with lotus. The surrounding is occupied with nature with trees and lotus flowers. The backdrop colour 'fresh green' also help to create a very tranquil and calm environment.